The Charles W. “Hoppy” Adams Jr. Foundation is a 501 c(3) Non-Profit organization of the U.S. Internal Revenue Code and the laws of the State of Maryland. The Foundation was established in 2006 to promote and provide charitable, religious, scientific, literary and educational services for Youth and Adult individuals located in Annapolis, Md. and the Baltimore-Washington Metropolitan Area. 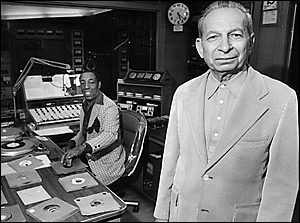 Mr. Blum hired African-Americans for both on air and management work at the station, which aired gospel, soul or rhythm and blues – at a time when few stations were playing African-American music. WANN represents a significant moment in American cultural history; the rise of black-oriented broadcasting. Although blacks constituted 10 percent of the population, black interest in broadcasting on any scale, didn’t begin until 1948. That year WDIA in Memphis became the first station to go to a format with exclusively black on-air personnel. Shortly after, a handful of stations committed to black interests. WANN was one of the first half-dozen. The station went on the air in 1948, and by 1950 owner and manager Morris Blum had directed his station to the black community in Annapolis and the surrounding area. 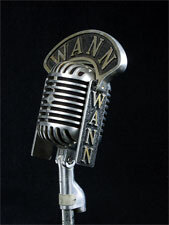 A 1000-watt daytime station, WANN was among the pioneering stations that were central to black life in the pre-Civil Rights era. Morris Blum, a Jew who came of age in the New Deal, conceived of the station while in the service during WWII. He explicitly rejected the segregation he saw in the armed forces, especially after he saw that death did not discriminate. While he initially tried a conventional format for his station, he quickly refocused it to serve the black community. Blum’s programming mixture of community service, black interest news, music, and religion developed through his dealings with African American public figures”preachers, businessmen and his own staff. Hoppy Adams, WANN’s star personality, and Blum enjoyed a 30-year collaboration that reflected the interracial collaboration that was the heart of black radio in its formative years.